Meringue powder, used in Royal Icing, is a mixture of pasteurized egg whites, sugar and edible gums. With this powder, the icing dries to a smooth, hard finish. Find it in the baking aisle at Hy-Vee. Place butter in a large mixing bowl. Beat butter on medium to high speed for 30 seconds. Add sugar and baking powder. Beat until combined, scraping sides of bowl occasionally. Beat in egg, vanilla, and almond extract until combined. Beat in as much flour as you can with the mixer. Stir in any remaining flour. Divide dough in half. Cover and refrigerate dough for 30 minutes or until easy to handle. Lightly flour a surface and roll half of the dough to 1/4-inch thickness. Using a 3-inch cutter, cut into desired shapes. Place shapes 1-inch apart on ungreased baking sheets. Bake 7 minutes or until edges are firm and bottoms are light brown. Transfer cookies to wire racks to cool. 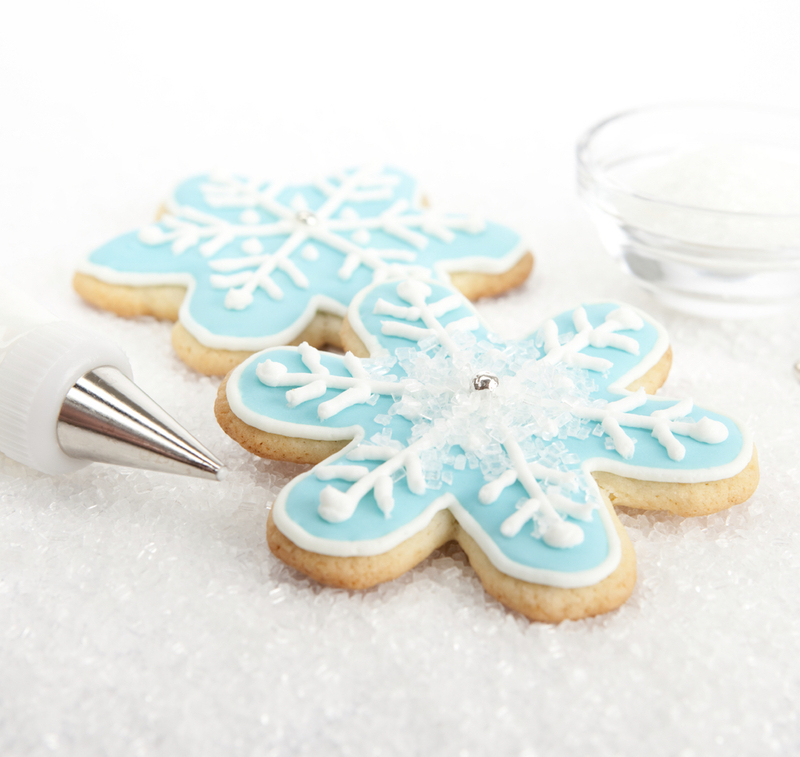 Looking for a quick and easy way to frost cookies? Pick up a container of Hy-Vee canned creamy white frosting and colored sprinkles. Prepare Royal Icing: In a large mixing bowl, stir together powdered sugar, meringue powder and cream of tartar. Add warm water and vanilla extract. Beat with an electric mixer on low speed until combined. Beat on high speed for 7 to 10 minutes or until icing is very stiff. Tint as desired; frost cookies.